← Do you remember mercati[s]coperti? 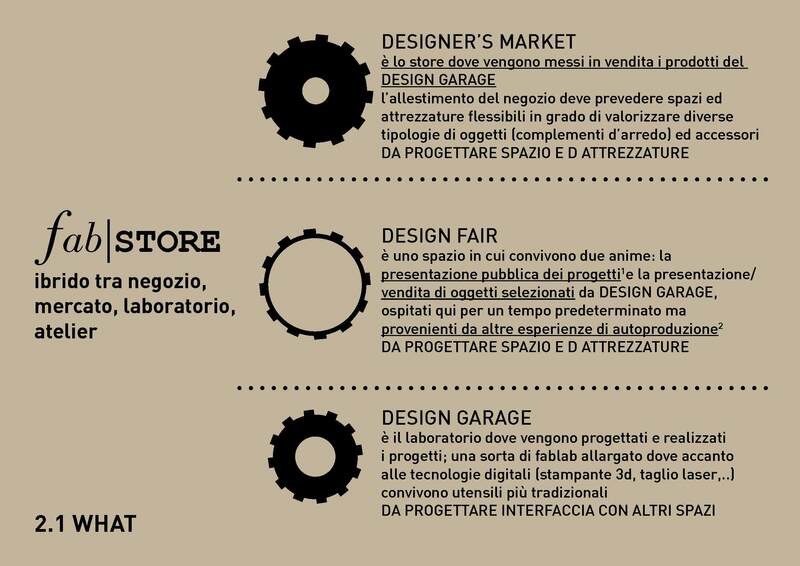 Tomorrow, monday the 3rd of June 2013, we’ll start the retail themed workshop for the 6th edition of the Master in Exhibition Design @ Politecnico di Milano. comes from the idea that CRISIS|OPPORTUNITY, the debate on the 3RD INDUSTRIAL REVOLUTION, the FABBERS AND MAKERS and the ADAPTIVE REUSE of unused buindings could come together to imagine a new interior space mixed up with a laboratory, a store, a market and an atelier. The space had to be the QT8 market in Milano that is a place that laboworks love, that had a leading role in our mercati[s]coperti project and that, in the actual plans of the municipality, will be transformed into a farmer’s market. You can preview the brief here. This entry was posted in fab|STORE, sources and tagged brief, fab|STORE, Francesca Murialdo, master IDEA. Bookmark the permalink.